SS 440C Round Bar, Stainelss Steel 440C Round Bar / Rod, SS 440C Round Rod Supplier In Mumbai. Stainless Steel DIN 1.4125 Round Bars Supplier, Stainless Steel 440C Rods / Bars Manufacturer, 440C SS Bars, Stainless Steel UNS S44004 Rod, SS 440C Round Bar Exporter, Stockist of SS 440C Round Rod In Mumbai, Stainless Steel 440C Round Bar Manufacturer India. SS 440C Round Bar is mostly used in industries and airplane parts due to the higher strength. The SS 440 C grade steel is able to bear higher weight and the strength ratio is too high as per the weight of steel. Well, you can easily find so many manufacturers offering it but Skytech metal is offering the best one at good prices or you can call it reasonable prices as per durability of product. The durability is all about quality and density of steel. There are various sizes available and you can also choose the diameter. The basic size offered is 1 meter to 6 meter. On the other hand, the diameter offered is up to 100mm. There is no doubt in the fact that everyone wants to get quality product and if you are also willing to get the same then must go with Skytech. We also provide the test reports to clients as they can know about quality. In the term of durability, the 8 gram per centimeter cube density is reason. We also make sure the abrasion delivery that’s why the inspection team check out whole order and there are reports send to clients as they can ensure what they get. These things make Skytech leading manufacturer, supplier and the exporter in market as well as in many counties too. The specifications are many and you get the corrosion free, non magnetic and super strength steel where the weight ratio is very less than the strength of stainless steel. 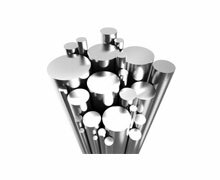 SS 440C Rods / Bars Manufacturer In India, SS UNS S44004 Round Bar, SS DIN 1.4125 Round Rods Exporter, Stainless Steel 440C Round Bar Stockist, 440C Steel Round Rods Stockist, 440C Stainless Steel Round Bar, SS 440C Rods Supplier In Mumbai, India..
ASTM A582 SS Round Rods Supplier, SS DIN 1.4125 Round Bar Supplier, ASTM/ASME A276 Steel Round Bars Stockholder, Steel UNS S44004 Rods Stockist In Mumbai, Stainless Steel 440C Bars Stock, SS Round Rod Dealer, ASTM A564 SS 440C Round Bars Supplier In India, SS 440C Round Rod, SS 440C Round Bar Manufacturer, 440C Stainless Steel Round Rod Supplier, 440C SS Round Rod / Bar, Stainless Steel 440C Round Bar Exporter, Stainless Steel 440C Round Rod Manufacturer, SS UNS S44004 Round Bar / Rod Exporter in India, ASTM A276 440C Stainless Steel Round Bar Exporter, Stainless Steel 440C Round Bars. Doha, Chennai, Madrid, Rajkot, La Victoria, Navi Mumbai, Kuwait City, Jakarta, Secunderabad, Colombo, Petaling Jaya, Vadodara, New Delhi, Gurgaon, Port-of-Spain, Singapore, Baroda, Gimhae-si, Ernakulam, Bhopal, Thiruvananthapuram, Jaipur, Hyderabad, Ludhiana, Thane, Tehran, Moscow, Coimbatore, Ahvaz, Algiers, Busan, Jeddah, Hong Kong, Calgary, Courbevoie, Pune, Perth, Caracas, Geoje-si, Kolkata, Manama, Surat, Dammam, Chiyoda, Milan, Cairo, Sydney, Muscat, Santiago, Melbourne, Bogota, Los Angeles, Brisbane, Ranchi, Indore, Nagpur, Karachi, Atyrau, Bangkok, Al Jubail, Faridabad, Edmonton, Hanoi, Kanpur, Toronto, Dallas, Houston, Kuala Lumpur, Noida, Bengaluru, Jamshedpur, Nashik, Ho Chi Minh City, Lagos, Al Khobar, Ulsan, Rio de Janeiro, Granada, Seoul, Mumbai, London, Riyadh, New York, Abu Dhabi, Istanbul, Chandigarh, Howrah, Ankara, Pimpri-Chinchwad, Haryana, Mexico City, Sharjah, Lahore, Vung Tau, Ahmedabad, Dubai, Visakhapatnam, Aberdeen, Montreal. Venezuela, United Kingdom, Gabon, Brazil, Chile, Ecuador, Algeria, Israel, Colombia, Bolivia, Sweden, Yemen, India, Tibet, Croatia, Afghanistan, China, Hungary, Philippines, Gambia, Oman, Azerbaijan, Ukraine, Pakistan, Kuwait, Switzerland, Estonia, Namibia, Netherlands, Iran, Bulgaria, Belgium, Canada, United States, New Zealand, Portugal, Bhutan, Hong Kong, South Africa, Mexico, Vietnam, Norway, Finland, Kazakhstan, Spain, Ireland, Taiwan, Italy, Lithuania, Germany, Sri Lanka, Ghana, Nepal, Poland, United Arab Emirates, Lebanon, Serbia, Angola, Czech Republic, Malaysia, Iran, Australia, Nigeria, Slovakia, Poland, Jordan, Peru, Mexico, Romania, Belarus, France, Egypt, Trinidad & Tobago,Tunisia, Nigeria, Thailand, Qatar, South Korea, Greece, Indonesia, Libya, Zimbabwe, Morocco, Singapore, Bahrain, Japan, Iraq, Turkey, Saudi Arabia, Argentina, Bangladesh, Mongolia, Macau, Costa Rica, Puerto Rico, Austria, Denmark, Russia, Kenya, Chile.